Brittany Lo, founder of beauty company Beautini, reveals how we can all achieve glowing skin (and more energy) with a few easy steps. Balancing work and sleep has been a struggle since starting my beauty business Beautini, which provides pre-wedding makeup experiences for brides and their wedding parties, a few years ago. There’s a belief in the start-up culture that working extensive hours without sleep equals a higher chance of becoming successful. Plus, with the over-stimulation of living in New York City, it can be challenging to make sleep a priority. But when I started seeing the negative effects of sleep deprivation in my daily life — mood swings, eating poorly — and also, surprisingly, on my skin, I knew I had to make sleep a top priority in my life. 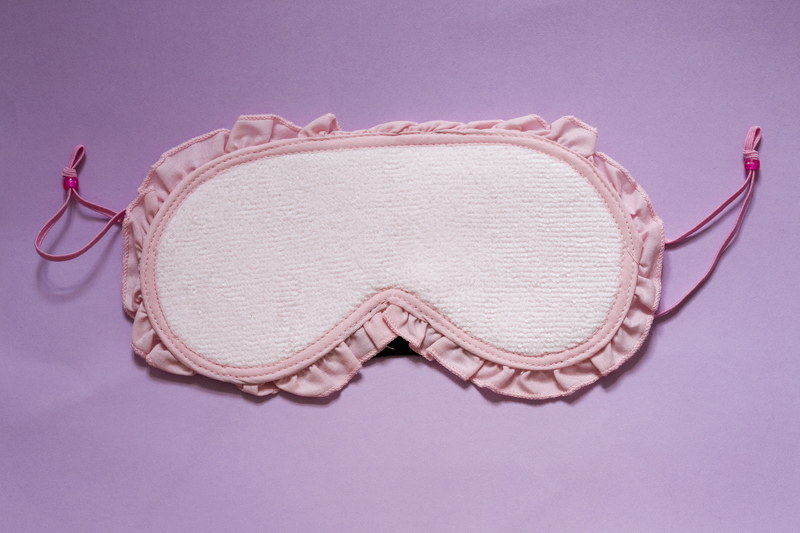 Sleep not only recharges our bodies and minds but also our skin. Skin is the largest organ we have, and I think of it as our canvas. If our skin is dry and dull, makeup will not apply as well, even with our favorite moisturizer underneath. To achieve beautiful, glowy skin we need to address the root of the issue, versus simply covering up problems like dullness. We often think the solution for dry, dull skin and puffy eyes is solely a good skin regimen but in fact, one main root of these issues is lack of sleep. The reality is that having an adequate amount of sleep will make your skincare products work that much harder for you! Sleep deprivation adds stress on the body by increasing levels of cortisol, which can cause premature hair loss and the breakdown of collagen. Cortisol levels should decrease as we sleep, which helps our skin rejuvenate. But when we don’t sleep enough, this cycle is disrupted and interferes with the collagen protein that is responsible for our skin’s elasticity and youthfulness. A lack of sleep also contributes to fluid retention, which can lead to dark circles and puffy eyelids. By prioritizing sleep in your life, not only will you feel better but you’ll also notice the difference in your skin (I certainly do!). After my day of work and events, I always come home and allow myself to decompress before going to bed. This process includes drinking a cup of lemon ginger tea and treating my nighttime skin routine as my a pre-sleep ritual so my transition into sleep is even more tranquil. I begin my ritual but removing all my makeup with a makeup wipe and cleanser, use a pad with salicylic acid in areas with blemishes, and then apply my serum (my current favorite is the Murad Night Fix Enzyme Treatment), moisturizer (Peter Thomas Roth Green Releaf Therapeutic Sleep Cream is my nighttime go to), and under eye cream. I know this sounds like a lot of steps for some, but I can tell you that this entire routine takes about 3 minutes. You can add or modify the products I use to fit you and your lifestyle but I will say that removing your makeup and applying a moisturizer are most important. The last step in my pre-sleep ritual is drinking some water and relaxing before getting into bed for ideally eight hours of sleep. By following these steps and making sleep a priority, you are making yourself a priority. Not only will see an improvement in your skin, but you’ll find yourself more refreshed and energetic when you set out to conquer your days. This article was produced by Thrive Global and sponsored by Sephora.